Instructions: Card size: 5 X 7", fold 5 X 21" Flipfold insert in an accordion style (mountain, valley, mountain, etc.). Add decorative paper to 3 front sections then glue all sides together leaving a 5 X 7" folded card at the back (do not glue tops as these are pockets). Fold and assemble 4 3/8 X 3 1/8" shadow box. Place a decorative panel inside (I chose one with birds), stamp, color and die cut birds from the umbrella handle of the Song of Spring stamp and die set, then foam tape them inside shadow box. Cover front of shadow box with another decorative panel then with birdcage cut from white and decorate with pearls. Cut 2 white Window Box Elements and glue to first and second pockets all the way to the right then glue shadow box to card on the left. Make 2 tags from two different paper panels in the paper pack and using Wisteria or Grape Jelly, stamp them with some encouraging scripture. Punch holes, re-enforce with re-enforcer die from Luggage and Tags and add ribbon. 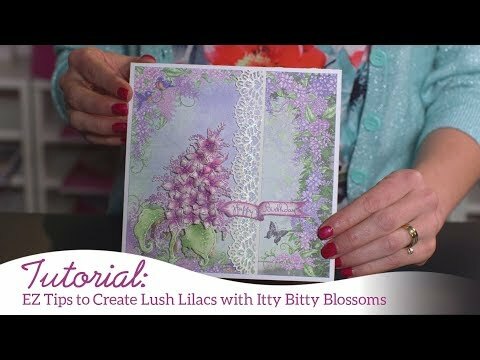 Stamp, color and die cut blossoms using Wisteria or Grape Jelly ink and Lulu Lavender ink to color. 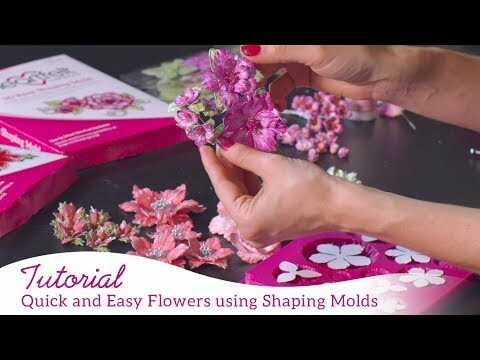 Add the blossoms to bottom right side to decorate and then add Prills to fill.